After being signed and released by four teams last season, Villanova product Austin Calitro is making the most of his second opportunity in Seattle. That means rotating with Shaquem Griffin in place of injured linebacker K.J. Wright. One day a year, professional football players develop an uncommon fear of a phone call. It’s understandable, of course. By 1 p.m. on the final Saturday before the first game week of the regular season, each NFL team is required to trim its roster from 90 to 53. That means 41 percent of players are instantly unemployed. They get a call, turn in their playbook and pray for a spot on the practice squad. Their NFL dreams fall victim to an iPhone. On cut-down day, no news is good news. Silence means survival. Austin Calitro knows this better than most. Calitro — a 6-foot, 240-pound second-year linebacker — was waived on cut-down day by the San Francisco 49ers prior to the start of the 2017 season. That’s after he signed with the New York Jets as an undrafted free agent and was released 10 days later. He would also be cut by the Seahawks (after a 15-day stay) and Browns before resurfacing in Seattle in June. So instead, he gave even more. 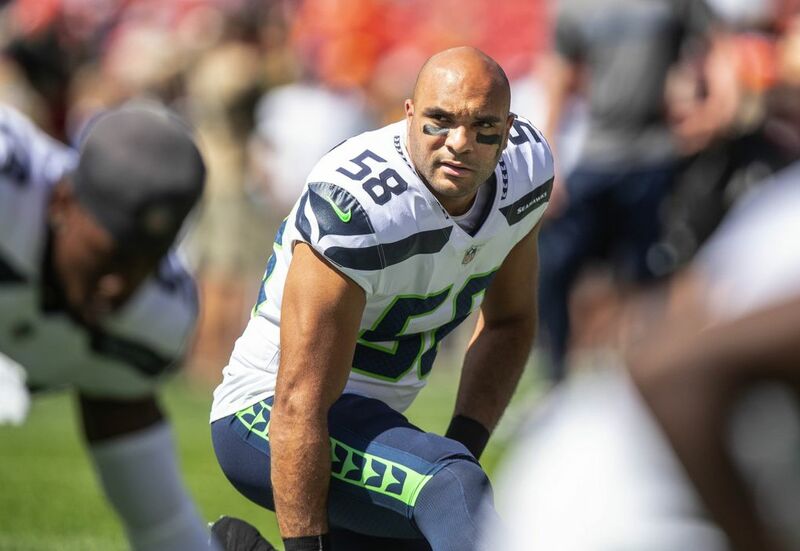 In four preseason games, the former Villanova standout produced 21 tackles, two tackles for loss and a sack as Bobby Wagner’s back up at middle linebacker. He consistently outperformed oft-injured veteran D.J. Alexander, a former Pro Bowl special teamer. Still, cut-down day arrived without any assurance of a roster spot. So Calitro waited, worried and tried to distract himself with household tasks. The former communications major took a trip to the laundromat — “just trying to keep my mind off of it.” He waded in the water with his girlfriend on a beach on Lake Washington. And, on the one panic-inducing day when you don’t want to get a call, he got a call. But not from Seahawks general manager John Schneider. “What’s up, Bobby?” Calitro said to Wagner, his mentor at middle linebacker. For the first time in his career, Calitro cracked a 53-man roster. And once that call ended, the other calls commenced. “We were out of town,” said Sharon Calitro, Austin’s mother, who was driving back from a Villanova football game. “Our phones were just … I think my husband was on the phone for two and a half hours on the car ride home. The Calitros were happy for a notoriously hard worker — a (mediocre) Pop Warner quarterback and kicker, a twin and big brother, a high school linebacker and running back (and catcher on the baseball team). In his free time, Calitro is taking online classes, pursuing a Master’s degree from Villanova in public administration. Someday, he’d like to work with non-profit organizations or help bring better education to inner cities. That’s the same 24-year-old kid who wasn’t offered an FBS scholarship out of Danbury (CT) High School, who wasn’t invited to the scouting combine, who waited through seven rounds and three days of the NFL Draft but never got a call. A kid like that has learned to appreciate every available opportunity. Calitro was granted that opportunity against Denver last weekend, and again, he took advantage. In place of injured veteran K.J. Wright, he rotated with rookie Shaquem Griffin at weakside linebacker and finished with four tackles in 33 snaps. And that’s despite only beginning to practice at that position the week before. That process will have to continue this week, as Wright — who is still recovering from arthroscopic knee surgery — is unlikely to play on Monday night against Chicago. Wagner also missed two practices this week with a groin injury, potentially putting his status in doubt. 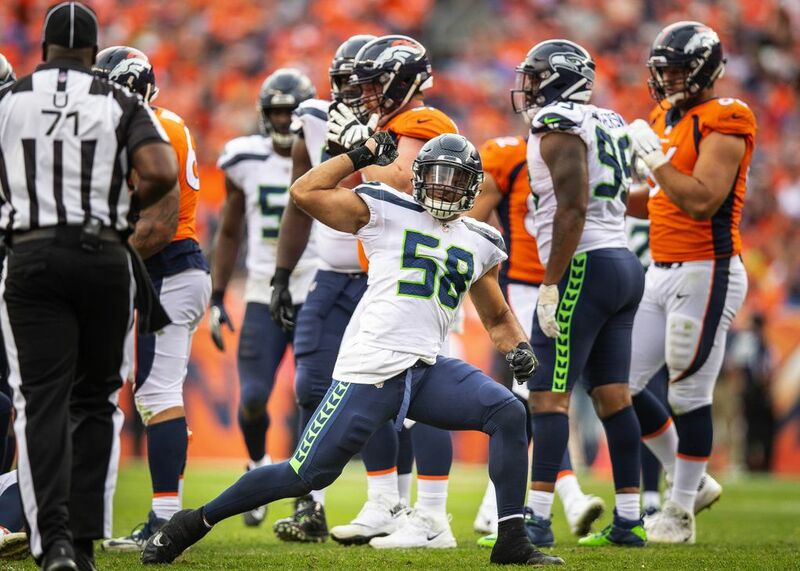 To combat the sudden lack of depth in the middle of the Seattle defense, the team on Friday signed former Browns linebacker Mychal Kendricks — who pleaded guilty last month to a felony insider-trading charge but is expected to be sentenced no earlier than January. Calitro, meanwhile, may be expected to contribute at both weakside and middle linebacker. That shouldn’t be a problem. Adjustments are nothing new. And, when he was needed, Austin Calitro answered the call. “It’s hard,” Calitro said of enduring cut-down day. “But at the same time there’s a very limited number of people that are even able to get this far, so I look at it like it’s a blessing and try to roll with the punches, because there’s hopefully going to be sunshine on the other side.